The Xchangerate Robot gathers data across multiple platforms for analysis using metrics for intelligent filters. These data have structures that give them immense historical value that can be used for trend and forecasting. XRR implementation of these structures will allow for the archiving of these data assets in patterns that breaks specific user information away to store data, data sources, strategy and time in a way that can be used for valuable analysis. This will be an age long commitment XRR team will engage to leave these data as contribution for analyzing markets – a valuable tool for research. Provide platforms with a series of important, good and valuable trading tools by using additional intelligence. Crypto-Trade is an Established Business Model Over 2 million new merchants open new accounts with the monthly exchange. Successful traders generate immeasurable profits every day. The growth of traders around the world provides a greater opportunity to increase liquidity. Increased regulatory awareness brings market stability. The first Augmented Intelligence platform SaaS App that brings intelligently analyzed data to the trader using automation and decentralized strategy sharing. 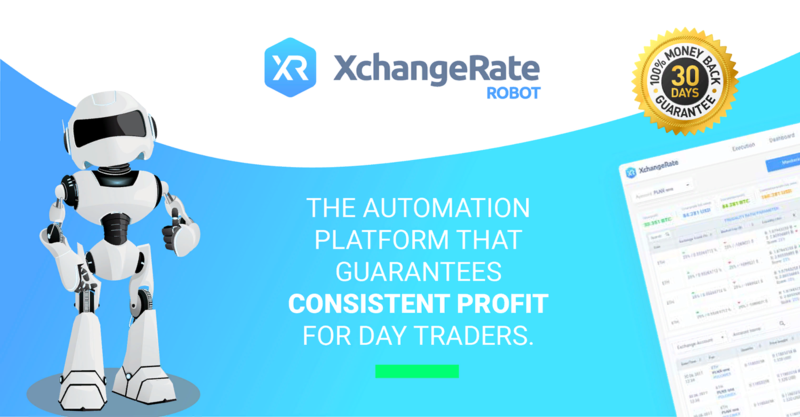 XchangeRate is a platform designed by traders for traders. Automated filter settings come with a preset strategy that requires minimal efforts. Adopting a strategy is one thing. Getting it into the market flow is another. XchangeRate provides tools to test strategies and filters with real market conditions and tests the strategic outcomes. What was once an exclusive Trade Secret is now available to everyone. Data analysis and trade intelligence are now present as presets on the XchangeRate Platform. The Need for a Successful Trade. Gathering Data: A collection of platforms with valuable information consisting of apt indicators using the Plugin API. Analytical Skill: Ability to interpret comprehensive data to make the best decisions. Decision: Acting on information correctly and on time is what makes trading profitable. Consistency: Automation makes everything work consistently and effortlessly. 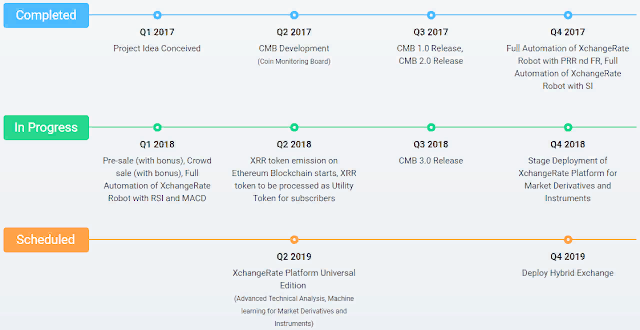 XRR Coin will be implemented as a utility token used to transact on the xchangerate.io in two major models. There is a subscription charge where users will make a minimum monthly payment to gain access to the platform. There is also a strategy rating marketplace where users can check the success rates of different strategies and the Token Costs (TC) the initiators have attached to them. Token Adopters can adopt these strategies at the TC while there is a platform fee for the transaction. The XRR Team will work with major exchanges such as Yobit, EtherDelta, KuCoin, Huobi, OkEx, and Binance to list the XRR coin on their exchanges so that the XRR Coin can be easily bought and sold.